The fall semester at Affton High School kicked off to a great start. 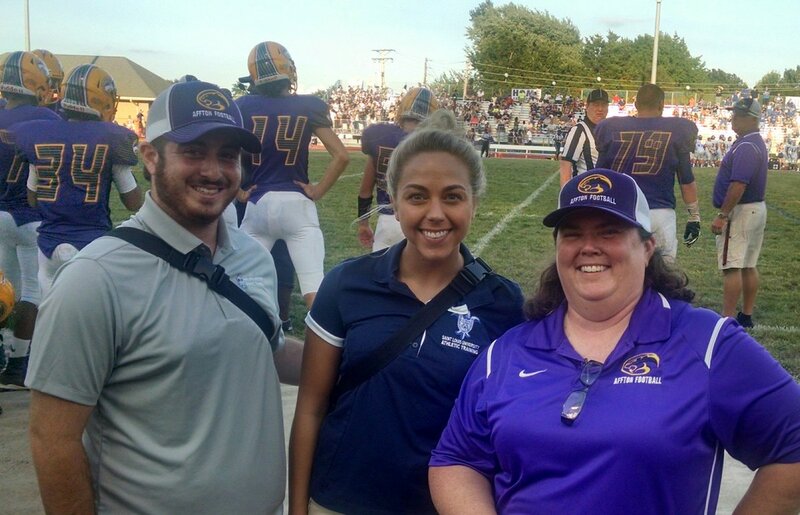 We have been working with the football teams, soccer teams, volleyball teams and other fall sport athletes that frequent the athletic training room. Becky Stigen ATC, our preceptor, has allowed us to have a hands on experience at Affton High School. We have been working with athletes to overcome injuries and get back on to the field. Some of the treatments we have been performing are electrical stimulation, ultrasound, and muscle energy techniques. 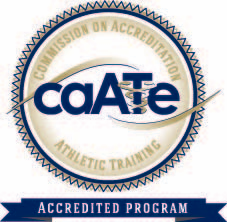 We have also have had the opportunity to formulate rehabilitation protocols and then implement these in the athletic training room. Football this year has been very fun and exciting. We have been sharpening up our taping and first aid skills as the Cougars face their opponents each week. We have been able to perform on field assessment. Becky has allowed us to evaluate players, and then we collaborate on our thoughts and come to a possible diagnosis of each athlete. We have also been applying protective padding and splints for players in order to keep their extremities protected during competition. Affton High School is great secondary school rotation for us. Each day we are learning and seeing new things, while improving on skills we already possess. It is nice to have both a PY1 and PY2 at Affton because we are able to help each other out and teach each other new skills and knowledge. The fall at Affton has been a great one so far and we are excited for what is to come this semester.